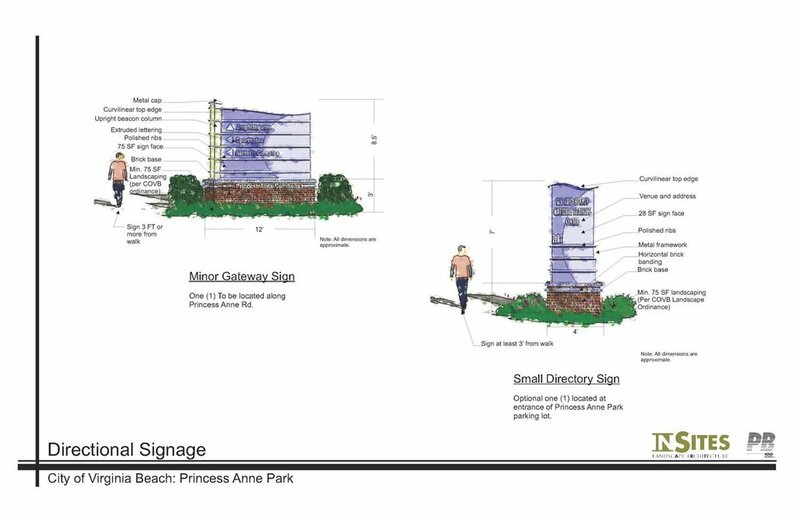 InSites provided Concept Planning and Design Services for the 1,500 acre Princess Anne Commons area of Virginia Beach as prime consultant to the Parks and Recreation Department and as subconsultant to a Public Works engineering consultant. Services range from feasibility studies, design guidelines, master planning, wayfinding, branding, public art and landscape architectural design. Working closely with the City of Virginia Beach Departments of Parks and Recreation and Public Works, InSites created the Princess Anne Commons 5K Fitness Facility Feasibility Study in order to evaluate the potential of establishing a multipurpose looped course for daily use by walkers, runners, cyclists and skaters, and for special events and races. InSites also worked with multiple departments to develop a system of directory signage and gateway features to brand the area as Princess Anne Commons. This was accomplished through the analysis of traffic flow, existing signage, and surrounding architecture and design in order to locate key points of interest such as gateway locations and signage placement. We were tasked with re-imagining a significant public artwork by artist Dale Eldred, that originally had been located at the old Virginia Beach Convention Center. When the new center was constructed, the sculpture was crated and stored outdoors. 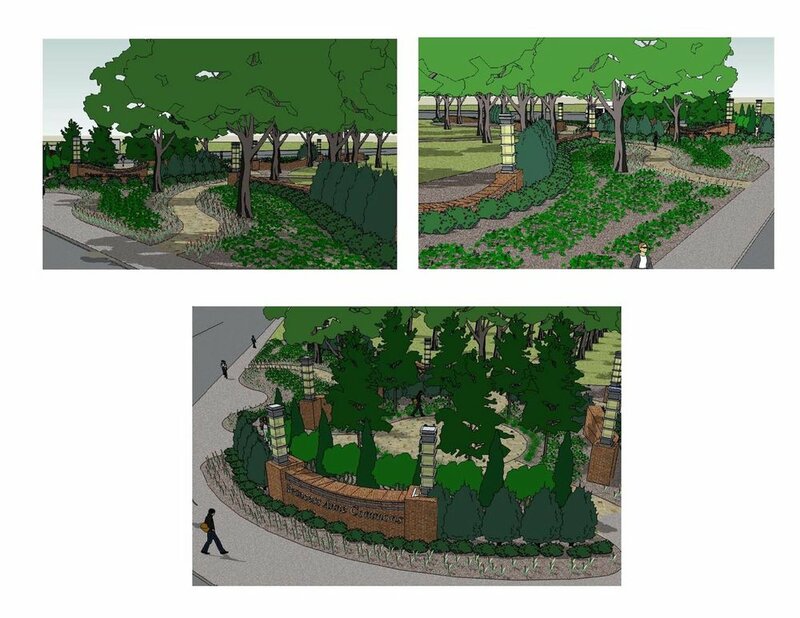 With the kind permission of Mr. Eldred's widow, we rearranged the original rectangular composition and integrated into the gateway of curvilinear walls and light columns we had already designed for Princess Anne Park.